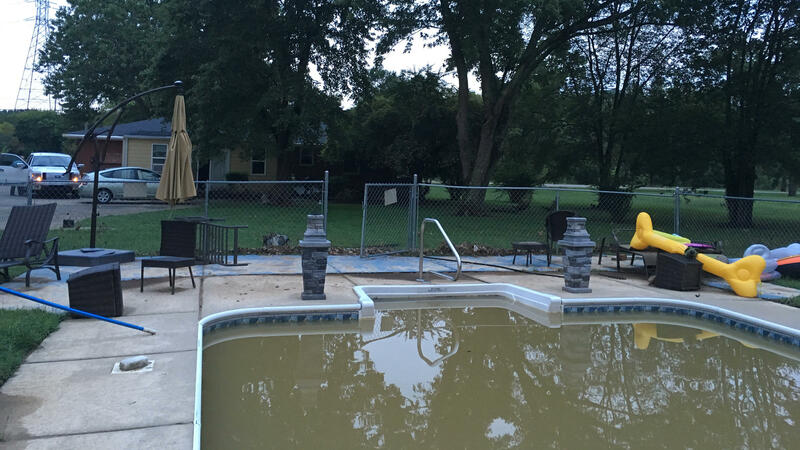 DeeDee Brickner recently upgraded the pool liner at this one-story ranch she owns and rents to tenants. With this latest flood, she's ready to hand over the keys to the city. When floods hit Nashville in 2010, several people died on West Hamilton Avenue along Whites Creek. The city has acquired more than 20 acres and torn down 41 homes there already. "If the government had just given me the money to rebuild, I would still be there because I love that river," says Carolyn McClain. Back in 2010, her house was under 5 1/2 feet of water and she couldn't afford to fix it. But she hated the idea of giving up her home overlooking the Cumberland River. "Most of the people who live on that river, that's why they're there. If you got worries, you can just throw them in that river and they're gone," she says. Then she adds, laughing, "Like most of my furniture!" McClain finally accepted the city's buyout and moved into a condo across town. A number of her former neighbors have done the same, and her old street is starting to look a bit like a ghost town. "Return the land to a more natural state"
Since 2010, Nashville has bought 261 homes and hopes to acquire 90 more. They're mostly houses built before the 1970s, when the city raised its standards for how high a new structure had to be above the floodplain. It's not as expensive for cities as it seems. The Federal Emergency Management Agency pays 75 percent of the cost of buyout, figuring that otherwise it could be stuck helping to fund flood insurance for a property, or paying to help rebuild it every few years. Buyouts have become a priority for FEMA as climate change had led to more intense rainfall events and flooding. "We don't look at the 2010 flood as a once-in-a-lifetime event," says Roger Lindsey, who oversees flood mitigation for Nashville. He says the focus of the buyout program is "to take houses that are repetitive loss houses, to offer a homeowner fair market value for the house, and we demolish that home and return the land to a more natural state." The land then becomes space for a community garden, a greenway, or park. But that is up to neighborhoods to organize and could take time. 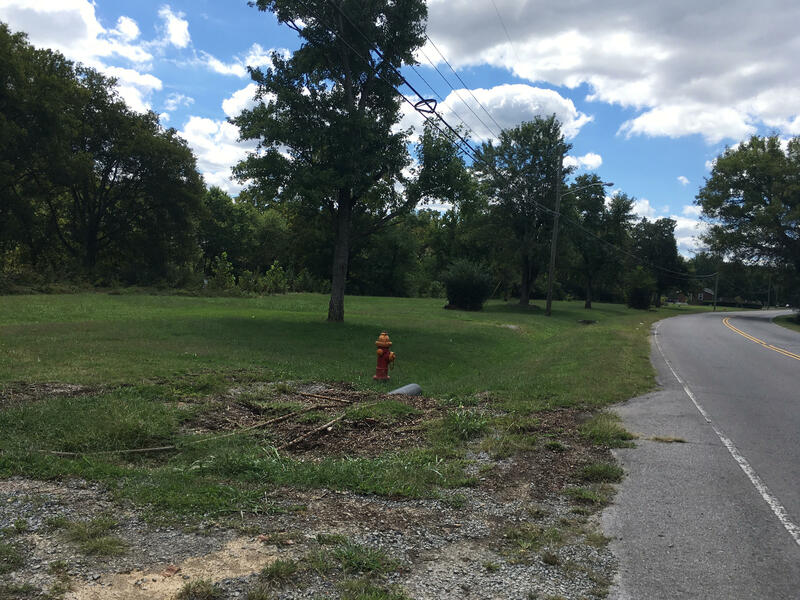 At one spot along Whites Creek, a cluster of homes has been razed, leaving 20 open acres with driveways that lead to nothing. This week, the grass and brush there were still bent flat from the most recent flooding, as the remnants of Hurricane Harvey moved through the area. That rain dumped 10 inches on Nashville, flooding out some who'd earlier rejected the city's offer to pack up and leave. "We've actually gotten phone calls from some of those owners saying, 'I'm ready to talk buyout again,'" Lindsey says. At a one-story ranch home along Whites Creek, DeeDee Brickner shakes her head as she stands next to her newly upgraded pool. "Beautiful new liner," she says, looking at a pool full of muddy brown water from last week's deluge. Whites Creek is notorious for rising above its banks. But Brickner didn't know that when she bought this house a few years ago, site unseen, in a foreclosure auction. She fixed it up to be a rental property, only to discover the home had already been rehabbed after the 2010 flood. Now once again, more than a foot of water has buckled the hardwoods and made the drywall smell moldy. "Why would you repair a house once you realize what you've got?" she asks. "It shouldn't be repaired. It shouldn't have been repaired after 2010." Brickner's property is surrounded by empty lots. Even after she found out about the city's buyback program a few years ago, she resisted, since her tenants were happy. But she says now she's ready to hand over the keys. "I'll throw up if I find out they aren't going to buy it," she says. Copyright 2017 Nashville Public Radio. To see more, visit Nashville Public Radio.